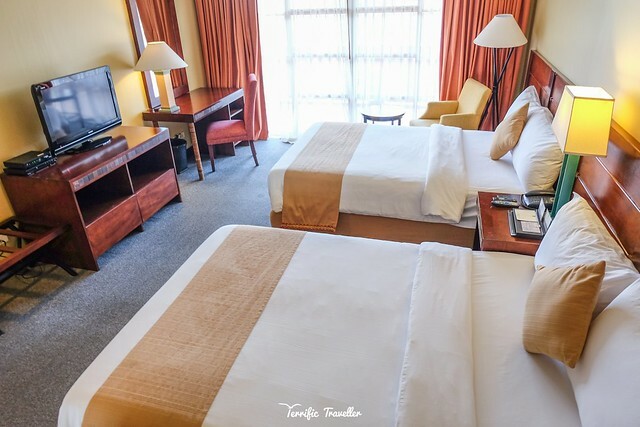 With an expansive area of 80 to 100 square meters, each room has two (2) comfortable full-size beds, two (2) toilet and bath rooms, dining area, a living area and with a view of the Cordillera mountain range and pine forest or the busy commissary complex. 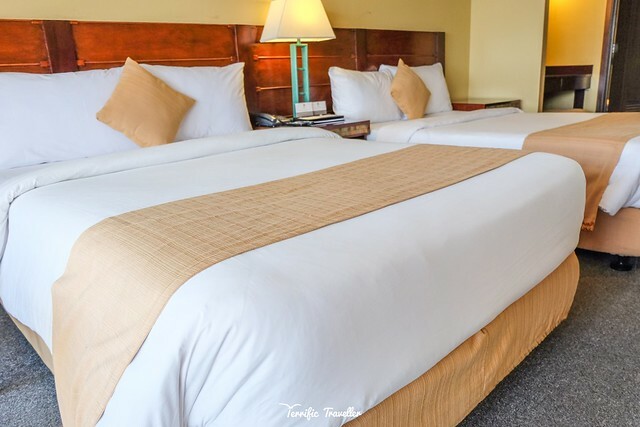 The room was spacious, airy, and homey. We never had to cram in any spot! Note that all furniture and upholstery are locally designed by NARDAS – a way to support and showcase local talent and boost Filipino craftsmanship nationally and internationally. 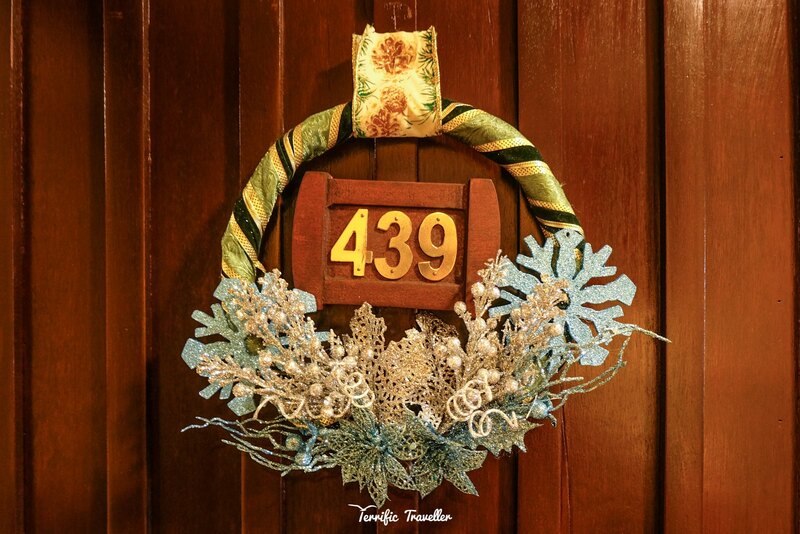 Kudos to The Forest Lodge! 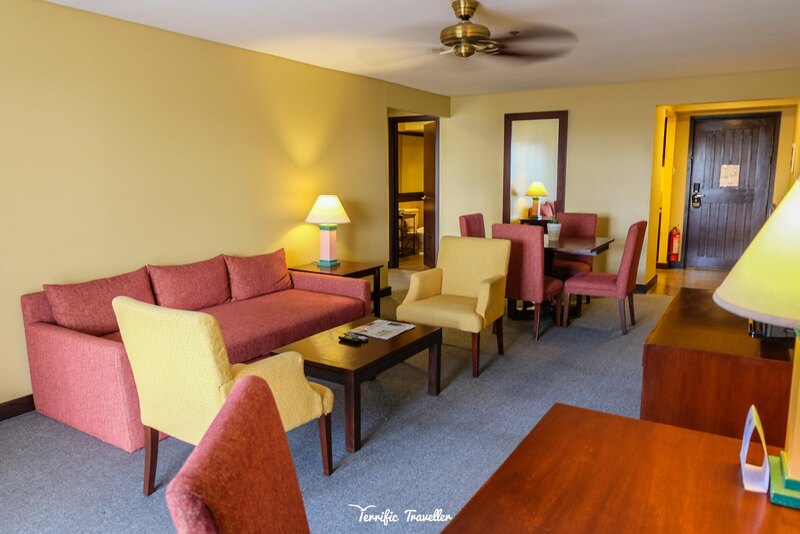 The Forest Lodge also has other room types: Superior, Deluxe, and Family Room. For more information, click HERE. 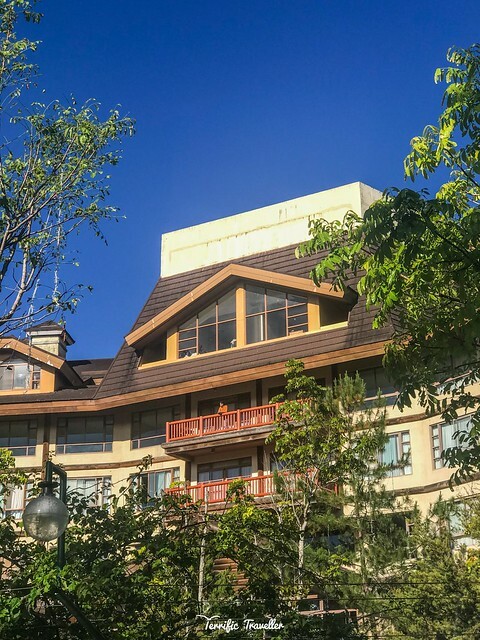 Now that we’ve seen the indoor spaces, it’s time to see the “outdoor” space, or the huge balcony (One-Bedroom Suites have bigger balconies compared to other room types, almost double the size) here you see images taken from the parking lot. And for a close up. 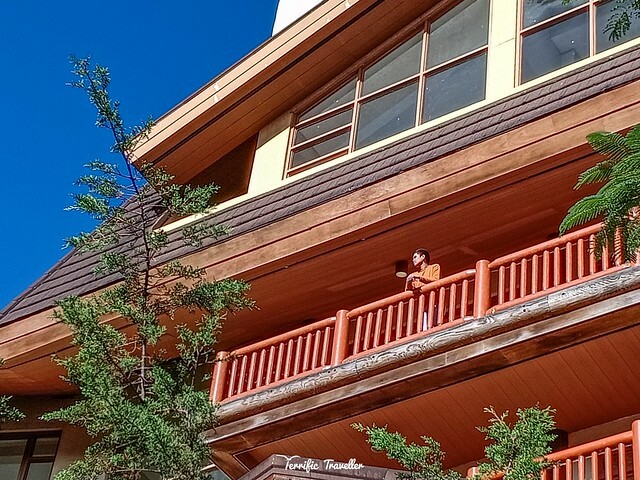 You’ll never run out of ideas and places to set as vantage point for all your photo souvenirs at The Forest Lodge. Every corner has a story to tell, and all those stories will look great on social media and print! But remember to always be careful when taking photos or lounging at the balcony, specially if you’re bringing your kids. 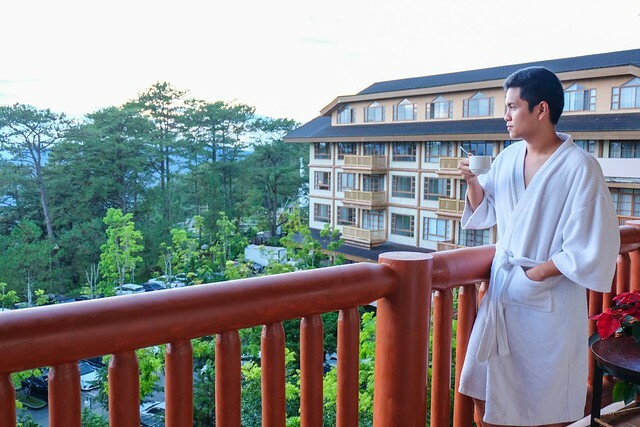 Here you see the other wing of The Forest Lodge, where rooms have the same view of the Cordillera Mountain range, pine trees, and gorgeous sunrise. 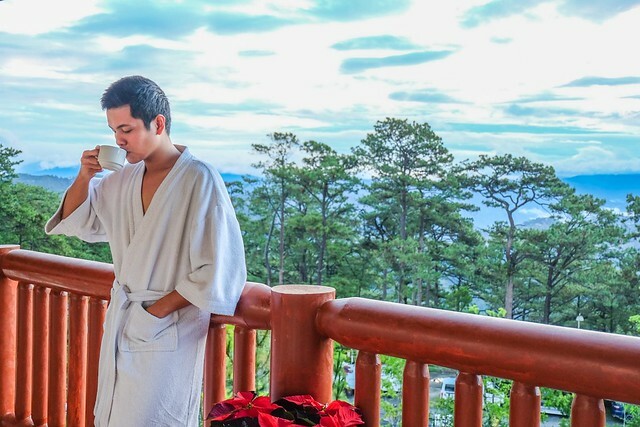 Mornings in Baguio City has never been this delightful! The photos above were taken on Day 2, as I was having my morning tea (I don’t drink coffee) while my colleagues were still asleep – and snoring lol. Good thing Efraim was already up this time and captured this (a little) candid moment. 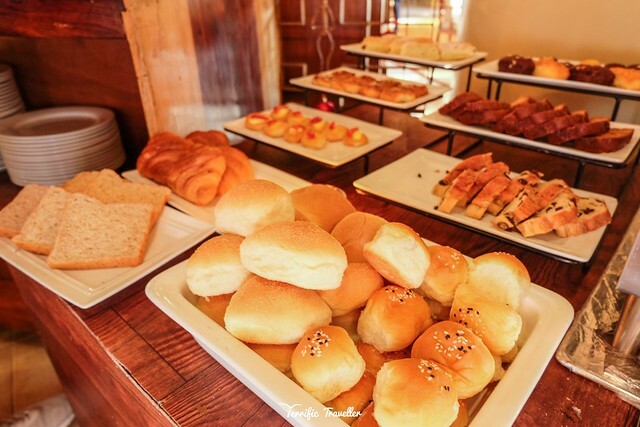 Fast forward to Day 2: As soon as everyone was up, we went down and headed to The Twist to have our buffet breakfast! 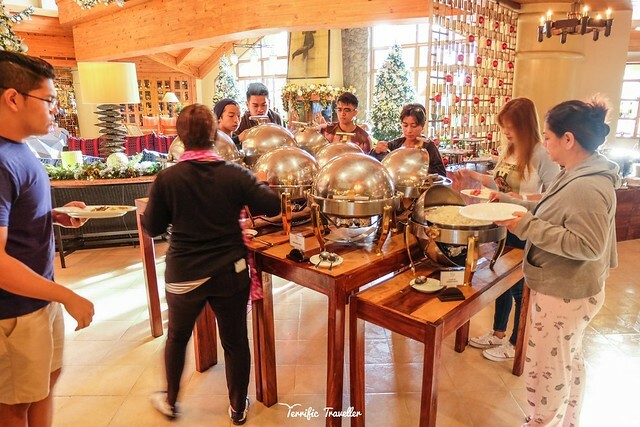 Note that regular booking doesn’t normally come with breakfast, and you have to avail them for only ₱500.00 per person. 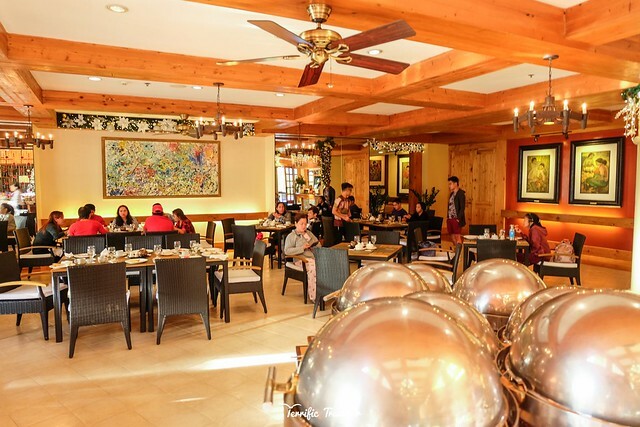 Trust me, your 500 bucks is better spent here than any other buffet breakfast in (or out) Camp John Hay – well of course there’s The Manor, but while you’re already at The Forest Lodge, make sure to wake up early to enjoy a hearty meal to start your day. 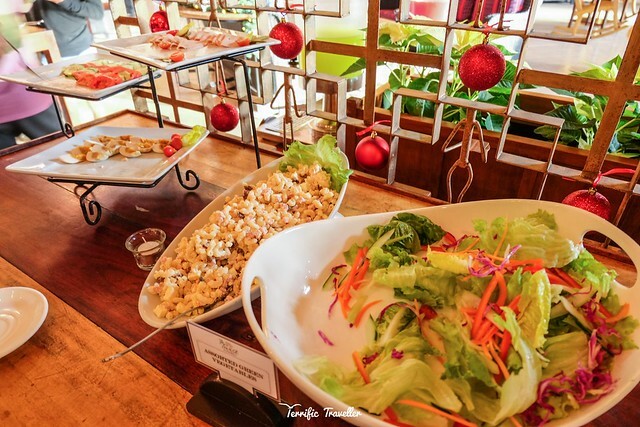 There were eclectic choices for all guests looking to fill their tummies with happy, delicious, and nutritious choices. I wasn’t able to take photos of the viands inside the heated stainless domes, but as far as I can recall, there was Premium Corned Beef, Perfectly Fried Bacon, Savory Beef Short Ribs, staple Fried and Plain Rice, Danggit (rabbitfish/spinefoot), Galunggong (blue mackerel scad/round scad), Filipino favorite Chicken Adobo, and many more. Baked goods fanatics won’t have a hard time choosing from the assortment of breads and pastries, jams, toasting machine included. We even had a somewhat private space to have our breakfast 🙂 I want to thank Mhedie and Denzell from The Twist for assisting us with table arrangement and taking the photo above. More awesome photos await on the next page!